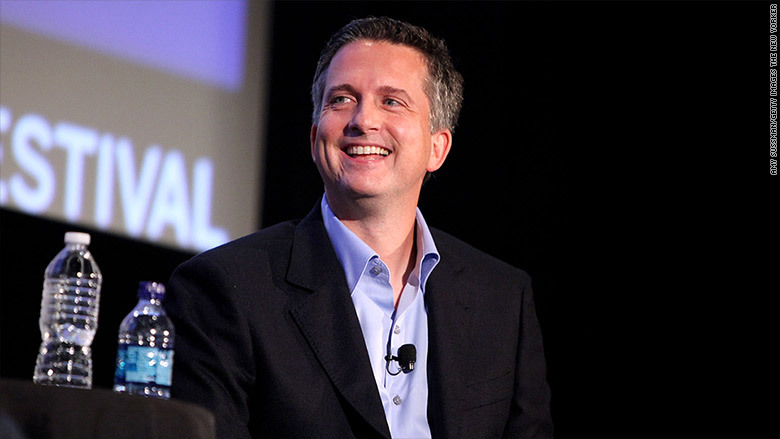 Famed sportswriter Bill Simmons wasted little time at his new job to go after his former employer. In "The Bill Simmons Podcast," which debuted on Thursday, the host left no doubt that he harbors a grudge with ESPN. Simmons accused the sports media empire of giving preferential coverage to NFL Commissioner Roger Goodell in its coverage of "deflategate," the allegation that New England Patriots' Tom Brady altered the air pressure on footballs in one of last year's playoff games. "Granted, I'm a little biased here," Simmons said. "The way everyone else was covering Roger Goodell in this whole story versus the way ESPN covered it, it was embarrassing. I couldn't believe nobody called out ESPN about it." Simmons said that one could only conclude that "ESPN is in the bag for the NFL." A spokesperson for ESPN did not respond to a request for comment. ESPN parted with Simmons this year after announcing in May that it wouldn't be renewing his contract. Simmons joined ESPN in 2001 and quickly became one of the network's biggest stars with a presence online and television. But his 14 years at the "Worldwide Leader in Sports" were often stormy, marked by suspensions and public spats with fellow ESPN personalities. In recent years, those disputes often stemmed from Simmons' sharp criticism of Goodell and the NFL. He was suspended for three weeks last fall after he blasted Goodell for his handling of the Ray Rice scandal. In his comments, Simmons essentially dared ESPN to discipline him for the criticism. ESPN, which has a $15.2 billion deal with the NFL to broadcast "Monday Night Football," has drawn scrutiny for its partnership with the NFL before. In 2013, the channel reportedly ended its involvement on a documentary that detailed the NFL's handling of concussions at the request of the league. This year, Simmons has been a vocal critic of Deflategate, a controversy that centered around his beloved Patriots. During an appearance on "The Dan Patrick Show" in May, Simmons said that the league's investigation of the matter was "pathetic." The next day, ESPN announced that it was parting ways with Simmons. Simmons signed with HBO in July, with a new show slated to premiere next year. A spokesperson for HBO told CNNMoney that "the content of Bill's podcasts are his material -- his views and opinions."